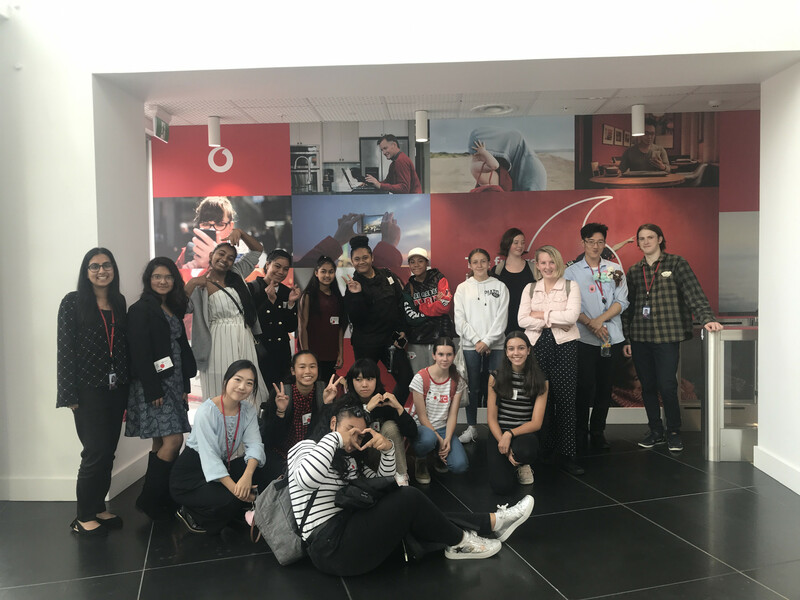 Nine at-risk students have returned to school with a greater sense of possibility and pride, after completing the first stage of a new youth development programme. 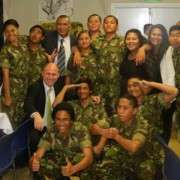 The six-month programme is being piloted by the Ministry of Education and involved Year 11 students from across Auckland schools. 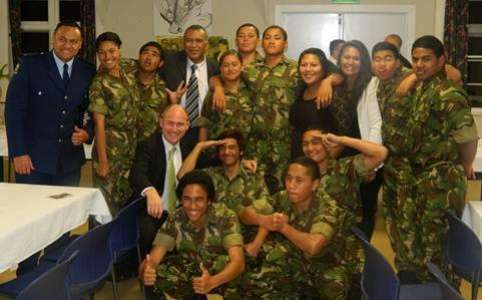 It commenced with a three-week residential course at Hobsonville base where the students learnt about themselves through the rigour and routine of military training. Rising each day at 5.30 and retiring at 10.30, they established healthier life habits they seem determined to keep. There were rules that if broken by an individual, attracted consequences that all of them had to suffer. This included maintaining high standards of personal hygiene and dress. As well as intense physical training, there were courses in drug and alcohol management, anger management, and group dynamics. At the end of the first stage, whanau joined in a graduation celebration and staff welcomed them home with mihi and waiata. A followup workshop at Hobsonville takes place in a month. Meanwhile at school, the students must continue to perform, with milestones set in attendance and academic achievement. Though their progress will be supported by the school’s Youth Worker team, the spirit of the programme is for self-motivation and monitoring.